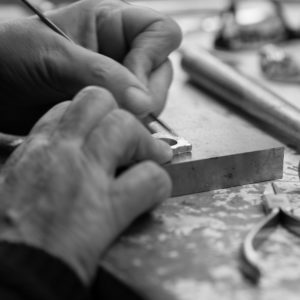 JAKUBOWSKI & VLASBLOM is a Dutch jewellery design brand and an international trendsetter in exclusive handcrafted jewellery. 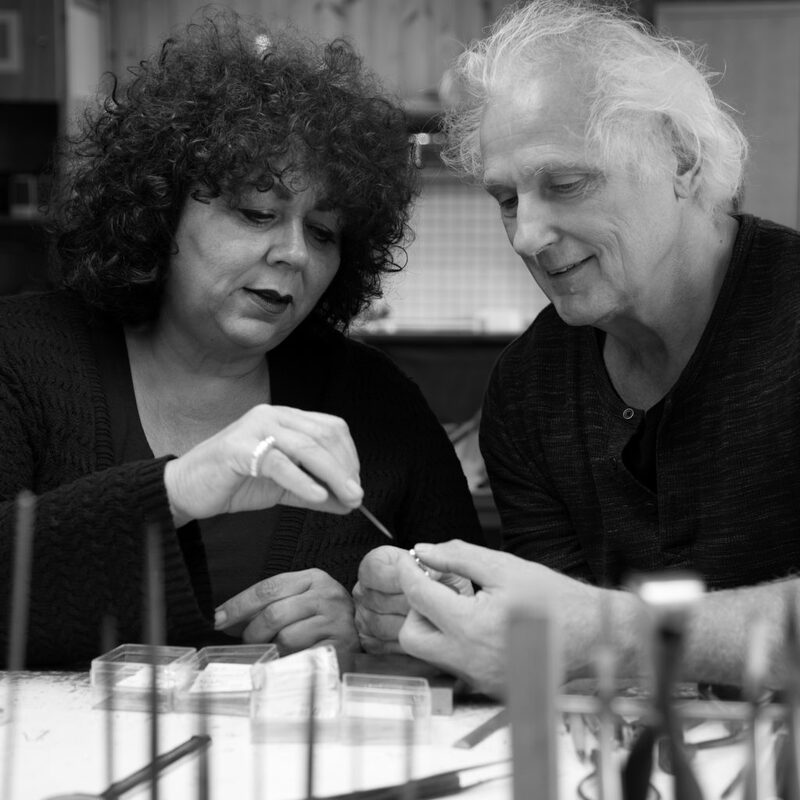 Mirjam Jakubowski and René Vlasblom worked as goldsmiths for many years before they foundend the brand and studio together in 2000, with the belief of creating exceptional beauty. Their first creations together became an instant success. Their passion for exclusive design jewellery results in an impressive collection and new designs. All JAKUBOWKSI & VLASBLOM jewellery are handmade with quality materials and innovative design with a nod to classic beauty. A flirtation between organic design and a special gem or a modest design combined with a luxurious structure and texture … each design contains advanced details.